Last Man Stands JUNIORS T20 Cricket - Play Cricket! 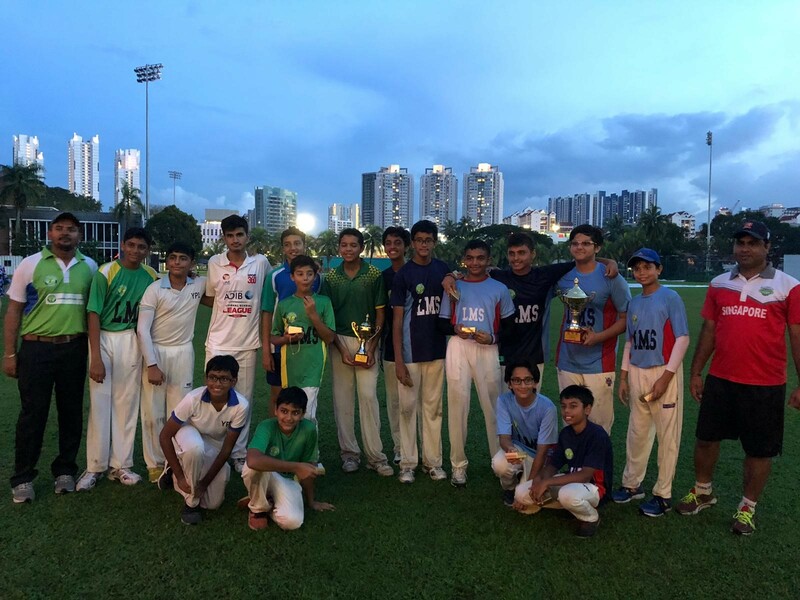 SG United team with 10 & Unders Winners Trophy & other prizes during Juniors season 5. SG United 1 with the Winners trophy & KRS with runners up trophy and other prizes at at CSC during 14 & Under tournament of Juniors season 5. Ping yi & SG United at their opening game of U 14 season 4 tournament at Turf City. 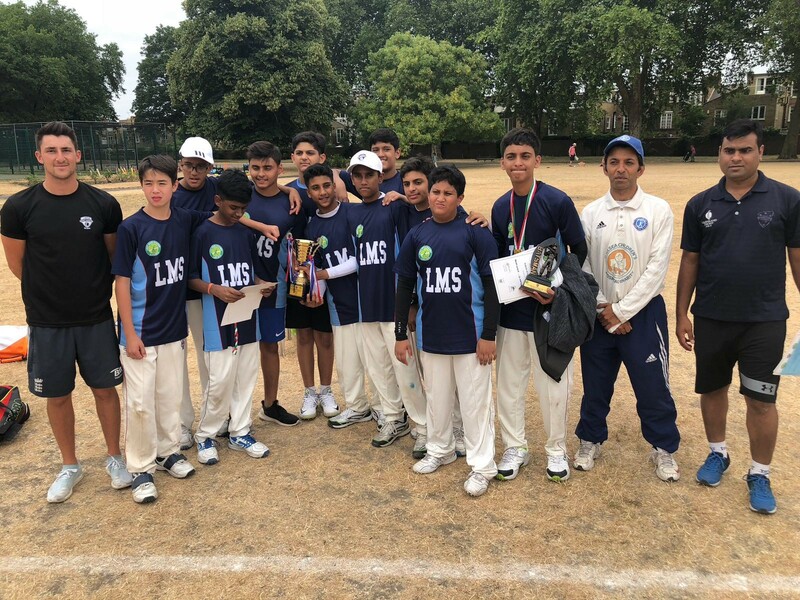 SG United U 14 team with winners trophy and other prizes at Fulham CC, London after winning the LMS Junior series. After years of success with seniors at global level. now we are looking to promote LMS at junior level around the world. 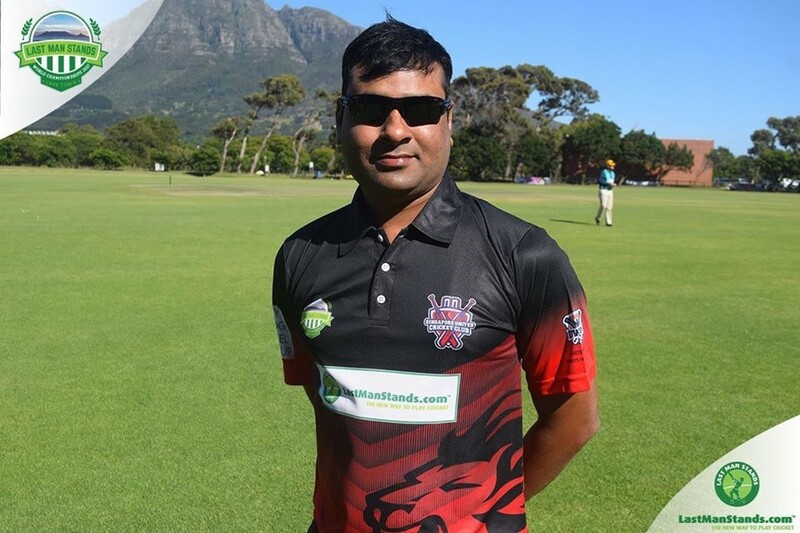 LMS Junior leagues have successfully been running in South Africa. Australia & UK. Now it''''''''''''''''''''''''''''''''s arrived in Singapore. In next few years. we will be having tours and cup nations for juniors as well. There will be separate city/country & world ranking for juniors as well once LMS Juniors get success in few more countries. Our goal is to achieve this target within 1-2 years!! 17th February 2019 till +/- 26th May 2019 (depending on weather & number of matches). Our Twenty20 cricket league format suits players of all standards. so keep your inhibitions aside and don''''''''''''''''t worry about how good or bad you are - Get involved and play with Last Man Stands! - There are Three Team trophies to be won in each age category : WINNERS. RUNNERS-UP & 3RD POSITION. Man of the match awards & player of the tournament. Best Batsman & Best Bowler award will be given in each age category. Participation certificates to all the participants will be give. - Matches will be played with white balls & colored LMS Clothing. - Minimum 3 & Mximum 8 teams will particpate per age group. * Teams can register any number of players. New white/Pink leather ball (U12 & above) or Pro Soft ball (U10) for every game. Man of the match awards. player of the tournament awards. Best Batsman & Best Bowler Award. Participation Certificates & team awards. * Teams are kindly requested to bring their own kit bags during the course of this league. Team spaces for the league are limited and League fee needs to be paid before securing a spot in a league. We will also be accepting Individual Player Registrations - these players will be placed with teams that require additional players to make a full squad. If you are looking to join a team as an individual player please email us at singapore@lastmanstands.com with some basic information about your game and we''''''''''''''''ll try to fit you with a squad that suits you. Note: No doeble play & run up limit applicable for Junior leagues. With our unique rules. everyone gets an equal opportunity to bat and bowl in the course of every match. It is a perfect chance to get your money''''''''''''''''s worth. 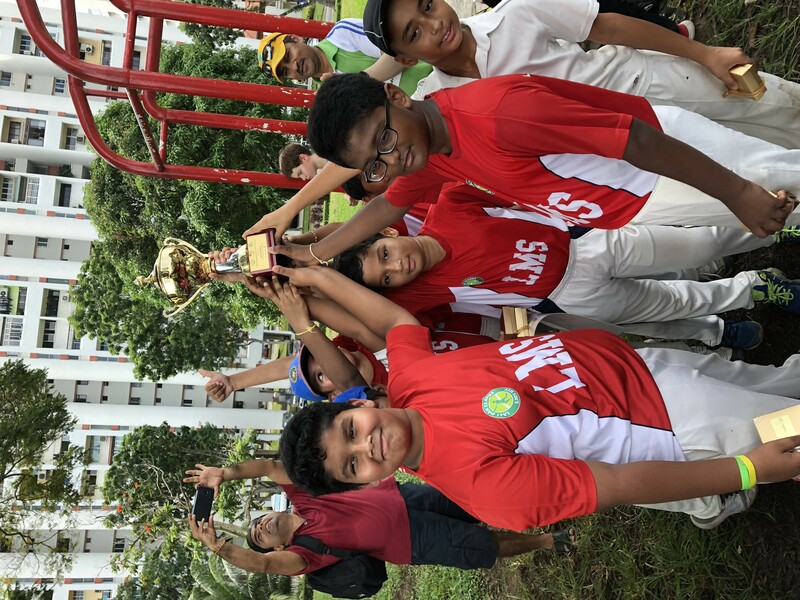 Major amendments for LMS U 10''''''''''''''''''''''''''''''''s - 30 balls or 30 runs retirement. Everyone must bowl 1 over except Wicket Keeper. Maximum 4 overs a bowler can bowl. Test Match Wides. No LBWs. No run up restrictions. No points deductions for uniform. More than 3 bounce - 1st ball warning & 2nd ball no ball. No Retire out in knock outs. However. retire out can be done only at league stage to give everyone chance if coach wishes to but strictly not to bring back the batsman who scored 30 and was genuinely retired. For all Age Groups - There will be no double play rule & run up restrictions for LMS Juniors. Also. we are not too strict for uniform points for juniors as we understand sometimes hard to manage junior boys and they forget to wear LMS Shirts etc. 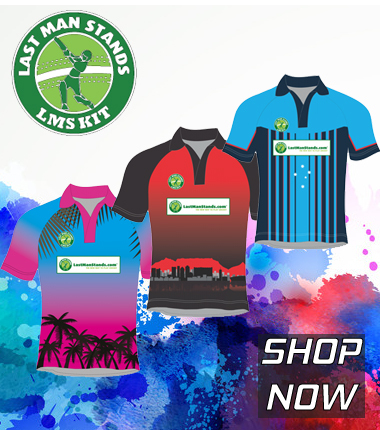 but we prefer everyone to come in proper LMS uniform & teams can buy couple of extra shirts. No Retire out in knock outs. However. retire out can be done only at league stage to give everyone chance if coach wishes to but strictly not to bring back the batsman who scored 50 and was genuinely retired. - Other rules are same as given on LMS Site. - A team should register minimum 8 players. - A team should submit their registered players for the particular season in writing via email to the league manager or add online at LMS Site. Any new registration between the league should be notified to the league manager in written to update the squad. - In case of teams are short of players. they can ask other teams to give any extra players. Maximum 2 players per game will be allowed to play for the other team and they can only bat number 4 or lower and can only bowl 2 overs. Same rule applies if club has entered 2 teams in the league. If there is any rain cancellation (before starting of the game) in knock out games then one option will be given for the rescheduling based on the ground availability. If any of the teams are not available or ground is not available for rescheduling then winner will be declared & qualify for next round based on the standings i.e. whoever is on the top will win & qualify. If match has started & later gets washed off then there will be no rescheduling (same as in league) and winner will be declared based on standings. - Similarly. winner will be declared in the finals based on standings if there is any rain cancellation & if the rescheduling is not possible. - Team who forfeits the game will get -1 point & double match fee will be charged and the team who gets walkover will be declared winner with 8 points & qualify for the next round & will get the full match fee refund. Please try to tell us at least 2-3 days in advance if you have less than 5 players. - Players must have played minimum 1 league game for its team to be eligible to play in the knock out games. U 15 - Yorker Cricket Academy. Singapore Cricket Club 1. 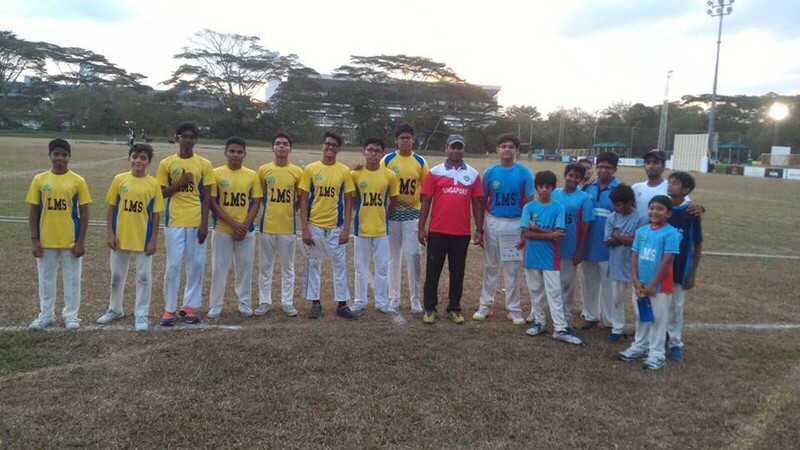 Singapore Cricket Club 2 & Ping Yi Secondary School (Each team played other twice followed by semi finals. 3rd position play offs & finals). Winners - SCC 1. Runners Up - SCC 2. 3rd Place - Yorker Cricket Academy. Teams - Singapore United. Singa ACademy.. GIIS Balestier.